One Stop for all the Tech Tricks and Deals. The countdown for electing the next Prime Minister of India has started. The Lok sabha elections are scheduled to be held in 7 phases this time starting from 11th April and ending with the last phase on 19th May followed by counting and declaration of results on 23rd May. As a responsible citizen of the nation it's our duty to cast our vote and help the right candidate win. Don't just vote, Know what you are voting for. The one who doesn't vote has no right to complain. Open SMS app on your phone. Type EPIC<Space>EPIC No. (10 digit alphanumeric code on your voter ID card). Send the message to ‘7738299899’. If your name is present in voter list you will receive the message with your name and other details. 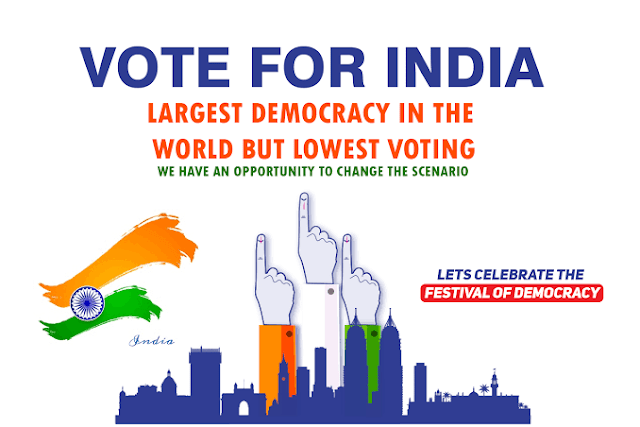 Appeal to all the citizens of the nation to cast their vote. Remember, “Vote is the most powerful nonviolent tool we have”. So as the summers are almost here and we will soon start using our existing ACs or buy a new one. In the last few years as the technology rapidly changed we get a number of new smart ACs in the market but their price range are a bit on the higher side and not all of us can afford them. These smart ACs include features such as voice controlling for turning AC unit ON/OFF, maintain temperature etc. It doesn't makes sense to replace the AC just to get these features but we would love to get these features without changing our existing AC unit. 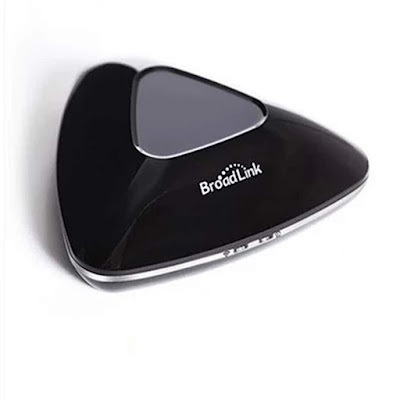 Today we at TRICKSSPOT are going to tell you about some smart InfraRed devices using which you can turn your existing AC to smart voice controlled AC and these are relatively cheaper than smart AC. 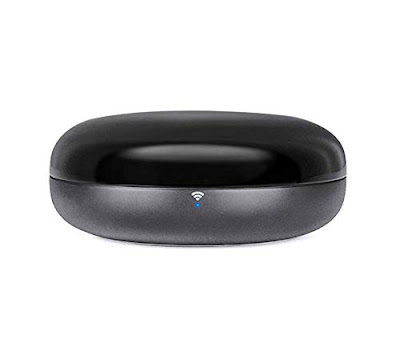 These devices are smart Wi-Fi enabled devices that connects with your home WiFi to communicate with your Alexa device or your smartphone and transmits the command to your AC unit via InfraRed signal. 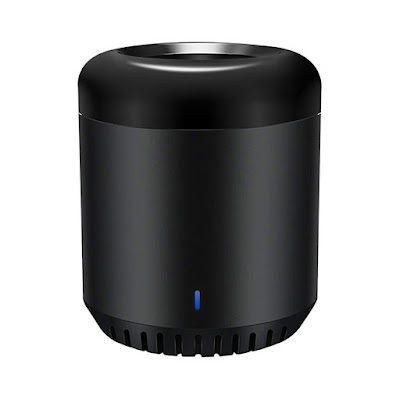 So basically you need to install the device near your AC unit and connect it with your home WiFi and then configure it using your smartphone for one time. Once it's configured you can operate your AC with your voice command just like the way expensive Smart AC works and that too without making much burden to your pocket. Here are the list and direct link to buy these devices. 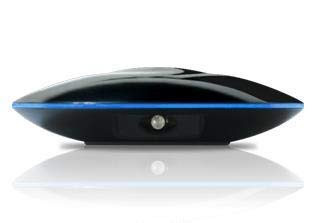 You can use these devices to control any InfraRed device with your voice like TV or any device which uses InfraRed remote. 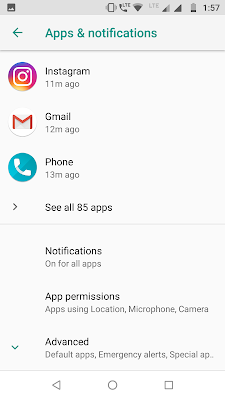 We install a lot of apps on our smartphones and some of them asks our permission to access our location and we often provide permission without even thinking since you just want that specific app to install on your phone. Many of those apps have no reason to use the location service even then it asks for location access. 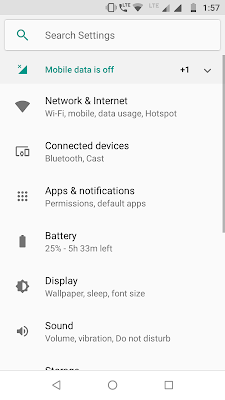 Goto Settings on your android phone. 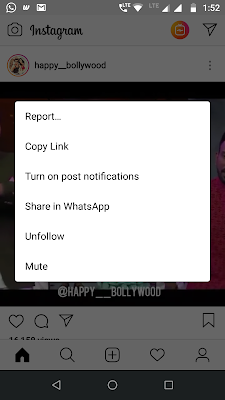 Click on Apps or Apps and notification whatever is applicable for your phone. 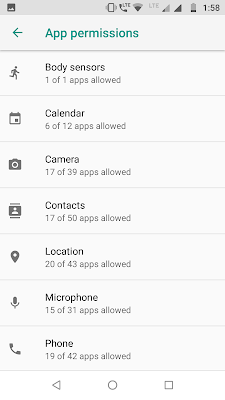 Scroll down and tap on app permissions. 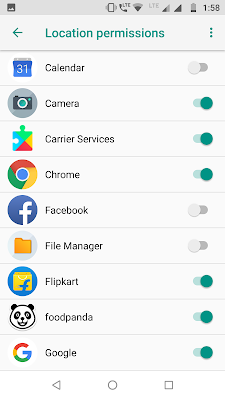 Click on Locations, which will open all the apps list which require location permissions. In front of each app there will be a switch that is either on or off, turn the switch off if you don't that specific app to have access to your location. Please note that the above steps are for Motorola phones, it may slightly differ for other company phones. So you can now check which app has access to your location and you can revoke the same using the above trick. Instagram as we all know is a photo and video sharing social networking service owned by Facebook. Many of us have some videos on Instagram that we love watching and sharing with others. The problem is we need internet access every time to watch those videos which is not possible always. Also you can watch them on Instagram platform only. Today we are going to tell you a trick using which you can download any instagram video directly to your device. Here is the quick step by step guide on how to download instagram videos on your device without any hassle or third party app. 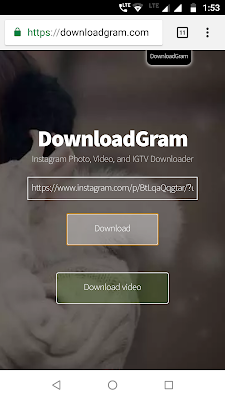 Goto the instagram video which you want to download. Click the 3 vertical dots on the top right of the video to open the options menu. Tap on Copy link option, which copies the url for that video. 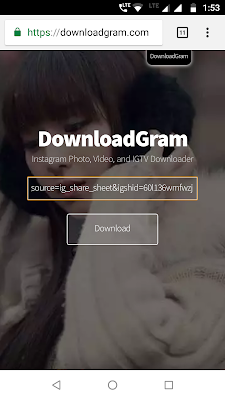 Now navigate to https://downloadgram.com from your web browser(Google Chrome). Now paste the copied url in the text box and click download button. You will see the download video button on the page on clicking it your video starts downloading to your device. 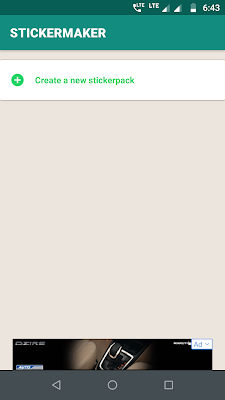 Thats it you have just downloaded the instagram video to your device without any hassle. To check Gas Subsidy status what we actually do maybe we go to our respective gas agency branch or check our account statement. Sometimes the Gas agency people says that they have done all the formalities from their end and asks us to check with the bank. 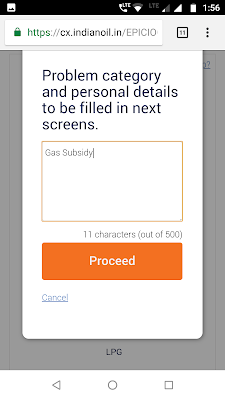 Today we are going to tell you a trick using which you can check your gas subsidy status using your android phone. Today everything is going online so you can also check the gas subsidy status online. Please follow the below steps to check your gas subsidy status online. 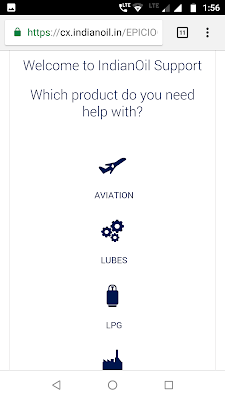 In the website you will see the gas cylinder of the 3 gas cylinder agency, click on the cylinder of your respective gas agency. I am selecting indane as an example. This will open the official website of your gas agency here its Indane. 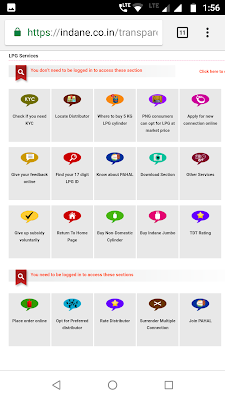 Now click on Give your feedback online. 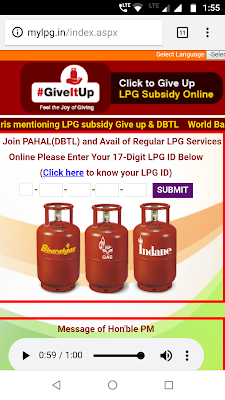 This will open a box, type Gas Subsidy in it and click proceed button. Now select LPG in the next screen. 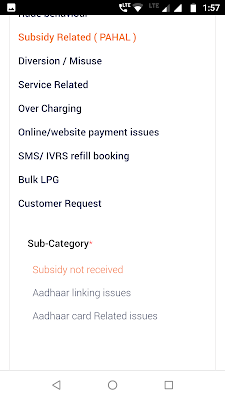 Select category as Subsidy Related (PAHAL) and Sub-Category as subsidy not received in the next screen. You will get two options to check your gas subsidy, either using your registered mobile number or using your LPG id. After submitting any of the two details you will get the subsidy status of your last gas refill with the date, time and amount of subsidy. 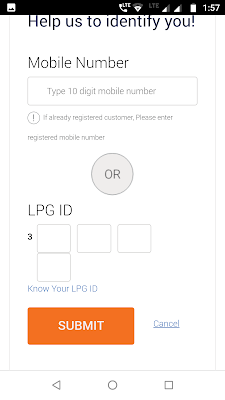 You can get your LPG id using the options provided after clicking on your agency cylinder and selecting option Find your 17 digit LPG id. Hope you find this information useful and now you can check your subsidy status yourself online. By now almost all the WhatsApp users started using stickers which was the latest addition to this popular social messaging app. But there are only a few number of stickers available that can be used. 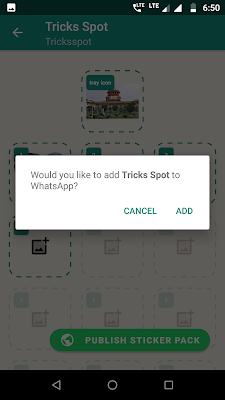 Today we are going to tell you a trick using which you can create your own custom stickers and utilise them to share it to your WhatsApp contacts. So follow the below step by step guide in order to create your own stickers. Download and open Sticker Maker app from Google Play Store. 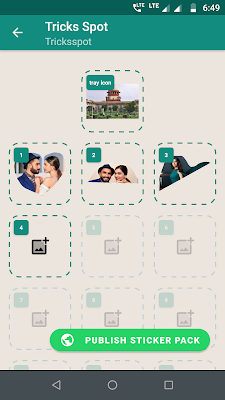 Tap on Create a new sticker pack and enter the name of the pack and name of the author and click create. 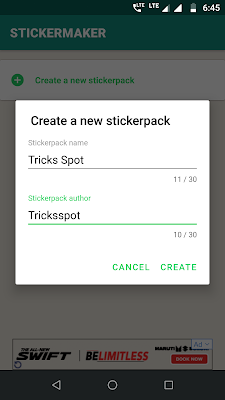 Now tap on the name of the pack to add stickers to the pack. 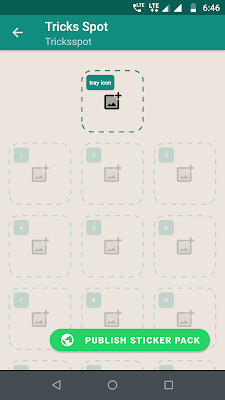 Add a tray icon for your sticker pack and a minimum of 3 stickers by uploading the images from your phones gallery. Crop the image using your fingertip and click on yes save sticker to create custom stickers. Once you have added the stickers to your sticker pack click on Publish sticker pack to publish the stickers. Now click on add to WhatsApp to add the sticker pack to WhatsApp. That's it, you have finished creating your own custom sticker pack. Enjoy!! Google Chrome is the widely used browser and almost all the android phone users uses it to browse the web or to download anything from the internet. Whenever we download anything from Google Chrome it saves the contents to a default location in phones memory. 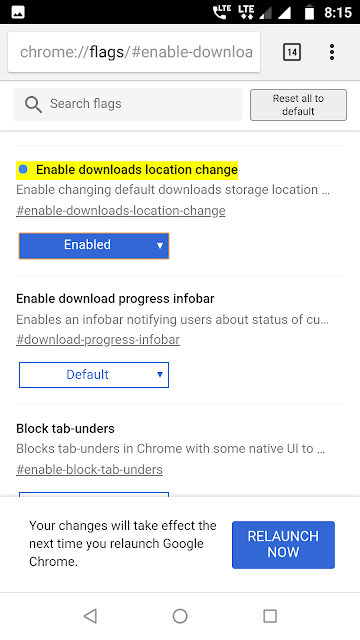 Currently Google Chrome has come up with a feature on enabling it you can change the download location to SD card hence saving your phones memory. Follow the below steps to change the default download location of Chrome to SD card. Change the option under Enable downloads location from default to enabled. Once it's set to enabled you will be asked to relaunch chrome. Just click the relaunch now button at the bottom. 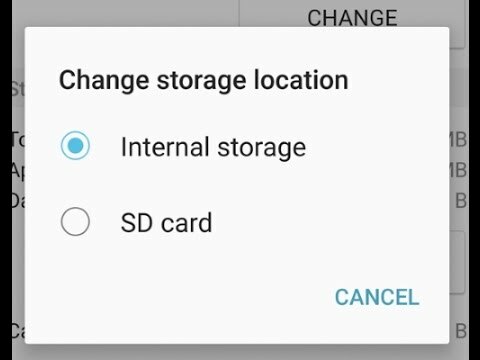 Chrome will relaunch and you can now change the default location to SD card by going to Settings>Downloads>Download Location. That's it you have now change the default download location for Google Chrome to SD card. How to check your bank balance and account statement with a missed call.